I also started with their Amber beer to get the day going. It was a pretty good beer, if not overly exciting in any way. When the poutine came out, I must say I was a little disappointed by the portion sizes compared to La Belle Province. Yet, at least the traditional poutine was pretty good, with a nice mix of curds to match up with the fries and gravy. The pulled pork and bacon variety – which seems like it should be amazing – just wasn’t as good as the traditional. Sometimes less is simply more. As for my main course, I continued the carb and cheese load by ordering their Mac & Cheese Grilled Cheese. The waitress asked in a lovely French accent if I was looking for a heart attack and I answered that I was in no uncertain terms. After all, if a bachelor party in Montreal doesn’t give you a heart attack then you’ve failed. The sandwich turned out to taste exactly how it would be expected to. It was pretty good, pretty greasy and pretty uneventful. The only thing about it that I could call disappointing was the Sriracha ketchup it came with that tasted just like normal ketchup. 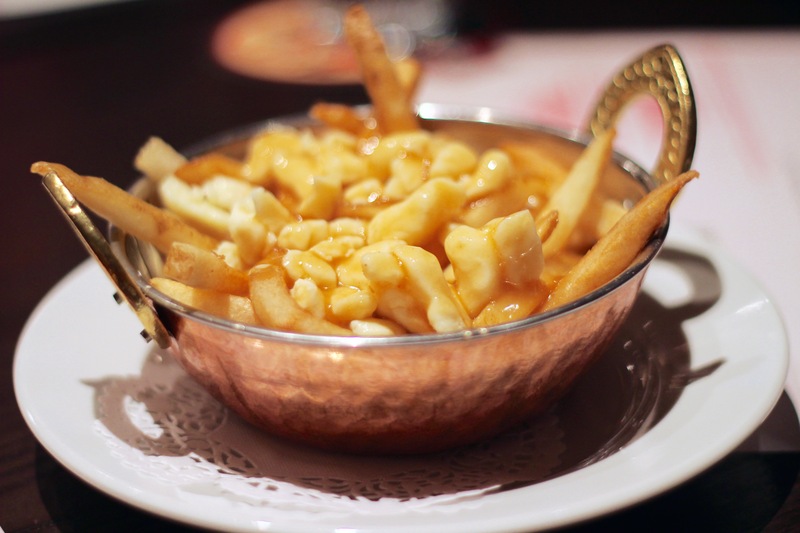 In the end, Les 3 Brasseurs was a pretty normal brewery meal – serving up some classic brewery food and poutine to boot. Nonetheless, in the heart of Montreal I feel like I could have achieved more in a meal. If you’re looking for a decent meal, Les 3 Brasseurs won’t let you down, but after all the amazing things I had eaten that weekend I knew there were more delights just waiting to be found.